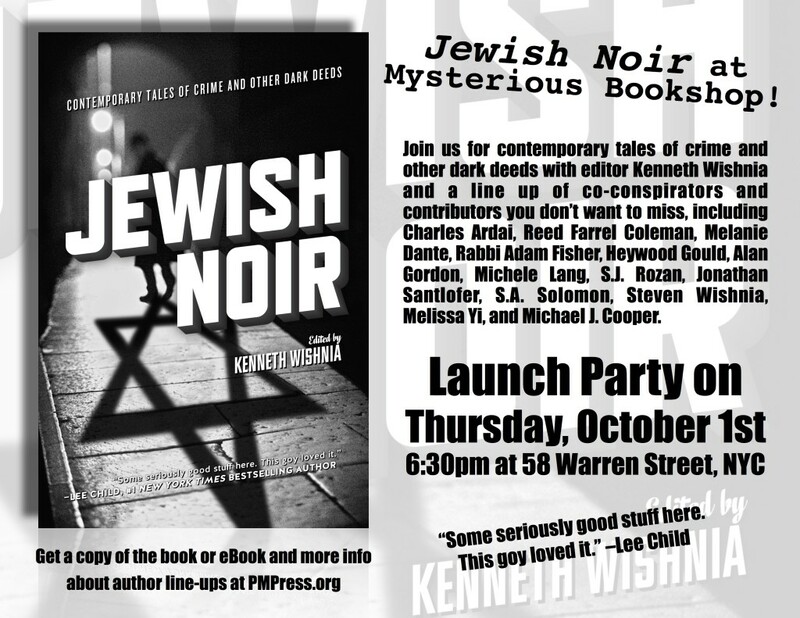 Jewish Noir – Join us for contemporary tales of crime and other deeds with editor Kenneth Wishnia and a line up of co-conspirators and contributors you don’t want to miss. This entry was posted in Events, Featured News and tagged Jewish Noir, Kenneth Wishnia, Mysterious Book Shop, S.J. Rozan. Bookmark the permalink.